Legalize collective bargaining for state workers. With the exception of extending a levy set to sunset, Gov. Steve Sisolak has yet to propose any tax hikes to fund his budget. But don’t be hoodwinked into thinking the governor seeks fiscal restraint. In fact, he has announced support for legislation that would cost state taxpayers billions of dollars in coming years. Senate Bill 135 would allow state employees to collectively bargain for wages and benefits. This will lead to large increases in compensation for state workers, necessitate massive tax increases and squeeze out spending in other areas. Democrats and their benefactors in the public-sector unions argue SB135 is a matter of simple fairness. But the history of collective bargaining for government workers is littered with the reality of cash-strapped states and municipalities whose symbiotic relationships with unions has left them struggling to balance budgets while being forced to cover ever-escalating salaries and benefits for employees. Just ask the state of Illinois or the city of Detroit. Government unions and private-sector unions are different animals. Private-sector labor groups have a vested interest in ensuring employers are solvent and successful in the marketplace, which creates a naturally inhibiting factor when it comes to wage demands. Government unions face no such competitive pressures and no “adversaries” at the bargaining table. During negotiations, who represents the taxpayers who must cover the costs of any contract? The Las Vegas Metro Chamber of Commerce released a study this week finding that passage of SB135 would add $1.7 billion to the state’s annual budget in 20 years. A union representative attacked the messenger and accused the chamber of “shopping a bogus study to deny state employees the opportunity to improve state services and advocate for their community.” In fact, the chamber’s conclusion is not at all outrageous and would be perfectly consistent with the experience of other jurisdictions in which public-sector unions dominate. Perhaps Big Labor can conjure up a unicorn economist who will argue collective bargaining has no effect on public budgets. But don’t bet on it. To make matters worse, SB135 also exempts labor negotiations from state laws mandating government meetings be open to the public. If Democrats are intent on ramming this radical and costly change through the Legislature, they should at least provide taxpayers with a modicum of protection by removing the secrecy provisions. 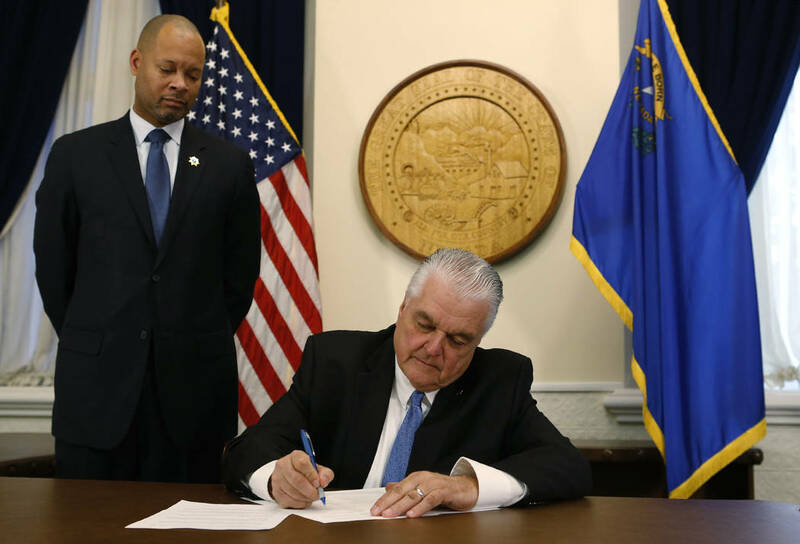 Past Democratic governors, understanding the fiscal ramifications of allowing Nevada state workers to collectively bargain, stood firm in their resistance to the idea. Gov. Sisolak made clear in his inaugural address that he rejects those concerns. It’s no exaggeration to state that SB135 will go a long way toward defining his legacy — and, if he signs it, not in a good way.